Pain, clicking, or stiff jaw? Could be TMJ dysfunction. 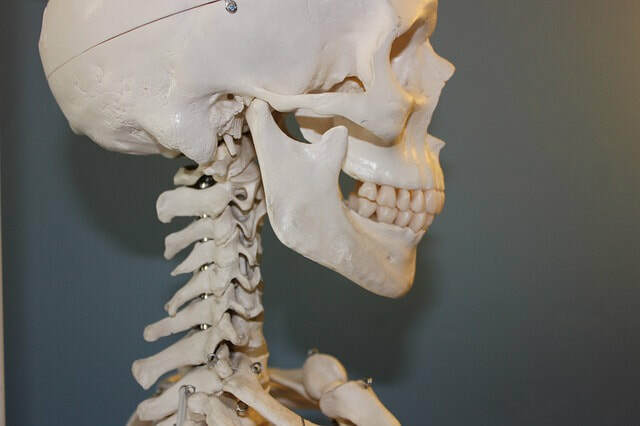 The temporomandibular joint, or TMJ, connects the lower jaw to the skull and is responsible for opening and closing our mouth. Even though it's one of the smallest joints in the body, it's also a very common source of pain for many. Symptoms of TMJ dysfunctions can vary from aches and pains to clicking or popping when chewing, yawning, or generally opening or closing the mouth. This clicking and popping may or may not be painful. This clicking in the jaw is produced when a small disc within the joint is either not resting in the right location or isn't moving as it normally should. One sign of TMJ dysfunction is when your jaw deviates, or opens unevenly. Some of the other symptoms sometimes associated with TMJ dysfunctions can include neck pain, headaches or migraines, ear pain, and/or ringing in the ear (tinnitus). TMJ physiotherapy, or physiotherapy for the jaw, is an extremely effective way to manage and eventually eliminate these symptoms. This is accomplished through a variety of treatment techniques such as soft tissue manipulation, neck and jaw mobilizations, manual therapy, acupuncture, and tailored home exercises.